Your dog’s safety is our #1 priority at Release the Hounds. Built on this fundamental principle, we are committed to being Canada’s safest dog walking company. Each of our team members is carefully selected, screened, and certified through DogForceU, Canada’s most advanced and progressive Dog Walker education program. We also have comprehensive safety processes, protocols, and technologies in place from GPS tracking to environmentally conditioned transportation. Click here to find out more about our Dog Walking Service safety protocols and see why we have the highest safety rating for overnight boarding services. Our fleet of vehicles is leased from Jim Pattison Lease. Each van is serviced, maintained and kept on a regular maintenance program for reliability to limit breakdowns and unsafe situations. While in transit, each pup is safely and securely tethered into their assigned area on the van floor for maximum safety and comfort. Each vehicle in our fleet is outfitted with a NexTraq GPS tracking unit, ensuring we know where our vehicles, walkers, and dogs are at any given moment in real-time. With more than a decade of industry experience, NexTraq solutions serves fleets of vehicles up to 2,000 strong, and supports more than 110,000 companies around the globe. After multiple reliability and efficiency tests with nearly every commercial GPS on the market, Release the Hounds has partnered with PodTracker—the smallest and lightest GPS unit in the world. We equip inexperienced, nervous, and new dogs with a PodTracker collar, offering you peace of mind. When your dog is staying with us, they are part of our family. To provide the best care and ensure their safety, each of our caregiving team members go through in-depth training programs. This gives our team the skillsets they need to safely manage any unforeseen first-aid or medical issues. For more information about our DogForceU training program click here. We like to think of our team as the golden standard in overnight care. Before joining our team, each person is vetted through a rigorous application and interview process to ensure they fit our values and level of care. Each member of our caregiving team is bonded, insured, and has completed a police background check. Some dogs will be enjoying the company of a friend while staying with us. Before having dogs from different families stay together, we ensure compatibility of social behaviour. Our thorough application process for boarding dogs allows us to safely match dogs who might be staying with another pup. Unfortunately, emergencies are a fact of life. When booking with us, we guarantee the care of your pup so if there is ever an emergency with one of our team members we always have a back-up team member to take care of your pup, guaranteed. Thanks to our GPS program Doggy Logs, pet parents will receive a summary email detailing your pup’s private walk. Everything from a map of our route, start and stop times, notes, and keepsake photos will be recorded. 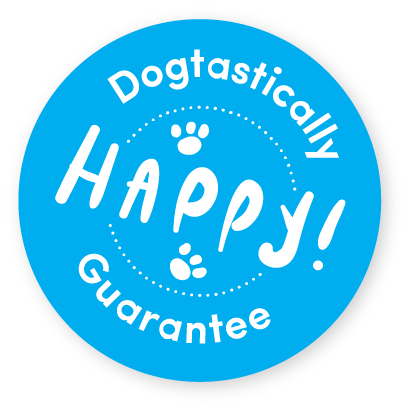 You’ll enjoy sharing your dog’s daily adventure at no charge to our valued client! Awesome dog care does not happen by accident—it happens when it’s provided by loving experts. In conjunction with one of Canada’s premier dog trainers, Annika McDade of Canine Connection Training, we have developed a proprietary dog walker certification and education program. DogForceU is the first pet industry team training program in Canada and ensures your pup is in the safest hands in the industry. Axonify is the world’s first Employee Knowledge Platform. It combines a fresh approach to learning through gamified, snack-sized training modules with innovative knowledge-on-demand capabilities. By promoting peer interaction and insight into real business results, knowledge retention is higher, resulting in a well trained, engaged team. Team engagement with these modules goes beyond just a traditional certification program, which is often found in the traditional classroom setting. The nature of Axonify promotes continuous refresher courses in a way team members actually want to learn, putting our walkers at the top of the industry when it comes to the latest in pet care knowledge and qualifications. Release the Hounds recognized early on that we had to partner with a powerful ‘backend’ system. For this, we turned to Salesforce: the world’s largest Customer Relationship Management tool. Salesforce allows us to create a profile on each dog and gives walkers access to information such as veterinary records, medical details and behavioural notes right from their mobile device in real time. With the use of Salesforce, we have reduced scheduling and service mistakes to nearly non-existent. Easy access to every dog’s files helps our walkers pick the right trails, form like-minded groups and create a tailored experience to suit the individual needs of each of our valued furry friends. Release the Hounds’ success in adopting the Salesforce platform has gained significant attention from within the Salesforce community. We have won numerous accolades and been recognized as a SalesForce Customer Success Story, as well as a Customer Success Story for Traction on Demand—a technology implementation and advising company. James Woller, VP of Business Development, has also spoken numerous times at Salesforce’s annual Cloudforce conference, and at the prestigious Dreamforce 2014 about our success with Salesforce.